The next phase of Ricardo’s contribution to the Climate Finance Accelerator will be announced at the Tate Modern today (Wednesday 17 October) as part of HSBC's day of Green GB Week finance events. The event, ‘Accelerating Green Finance in Emerging Markets’, will explore how the UK Government and the City can work with developing country governments and markets to turn low carbon investment concepts into bankable projects. 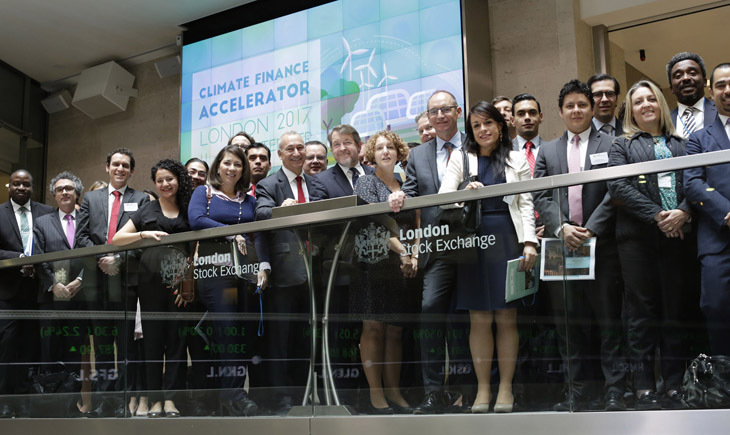 This includes plans for the next phase of the Climate Finance Accelerator – a unique transaction-focused initiative that matches international governments, project developers and finance market players with City of London climate finance and green investment experts. Participants are supported to develop financing propositions for their countries’ priority climate and green infrastructure projects, and to identify the resources required to turn them into reality. The first iteration of the Accelerator worked with teams from Mexico, Colombia and Nigeria on a range of propositions, including a new approach to financing rooftop solar at scale in Mexico, a programme to enhance micro-finance for agricultural smallholders in Colombia, and a financing plan to stop flaring and deforestation in Nigeria. Further support for a dedicated UK-Nigeria Accelerator was announced during Prime Minister Theresa May’s trip to Africa in August. The next phase, funded by the UK Department for Business, Energy & Industrial Strategy and the Children’s Investment Fund Foundation, will focus on the further development and financing of a pipeline of low carbon projects in Nigeria. Green GB Week follows the UK Prime Minister’s recent announcement of a new £60 million programme of technical assistance to share the UK’s world leading expertise on energy market reform, transition to clean growth, green finance and climate legislation.